Our dentists at Riverbend Family Dental Care offer a full range of services for your smile! 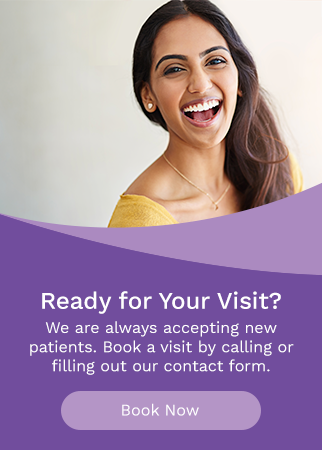 They look forward to working with you on your oral health. Finley was born in Kindersley, Saskatchewan, and raised in Edmonton since he was 2 years old. After graduating from Strathcona High School, he attended the University of Alberta and attained his D.D.S. degree in 1982. After graduation, he started his own practice and called it Riverbend Family Dental Care. In his spare time, Finley enjoys many activities with his family. He is an avid golfer and is always working out, whether in a gym, running stairs in the river valley, playing hockey or cross country skiing. Kim was born and raised in Edmonton. After graduating from McNally High School, she attended the University of Alberta and attained her D.D.S degree in 2002. Since then she has been an associate here at Riverbend Family Dental Care. In her spare time, Kim enjoys being outdoors, spending time at the lake, walking her dogs, wood working and reading. Dr. Wong was born and raised in Edmonton. He attended the University of Alberta and obtained a Bachelor of Medical Science followed by a Doctor of Dental Surgery degree. He takes pride in not only providing oral health care to his home community, but also by developing positive long-standing relationships with patients. Dr. Wong enjoys talking and interacting with patients of all ages and creating an environment that is comfortable. In his spare time, he enjoys biking, working out, trying new foods, and spending quality time with family and friends.